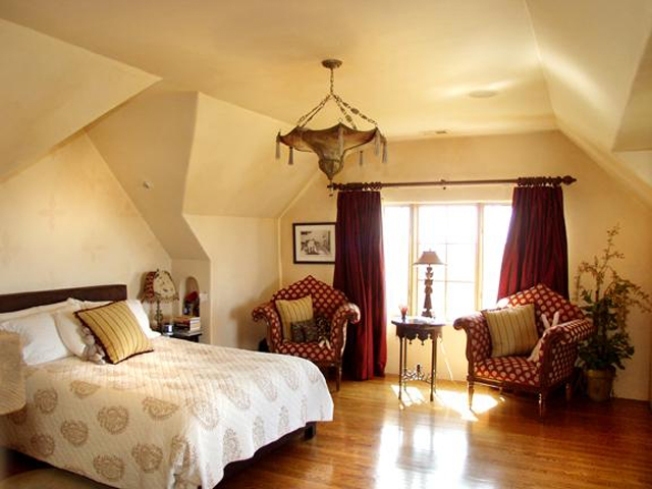 A very normal looking bedroom in the house of Green Day rocker Billie Joe Armstrong. Gone are the modest days of Sweet Children and playing punk shows for free at Rod's Hickory Pit. Green Day front man Bille Joe Armstrong has long moved on to other things. Take as evidence the "Time of Your Life" hit maker's multimillion dollar Oakland hills home. 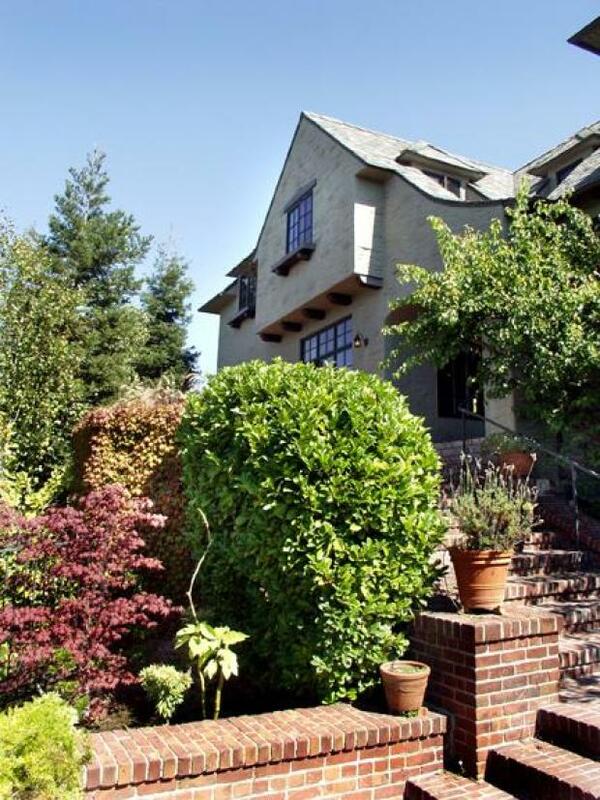 Armstrong recently listed his Upper Rockridge crib for the true rock star price of $4.85 million, SF Gate reported. Weezie would be proud. 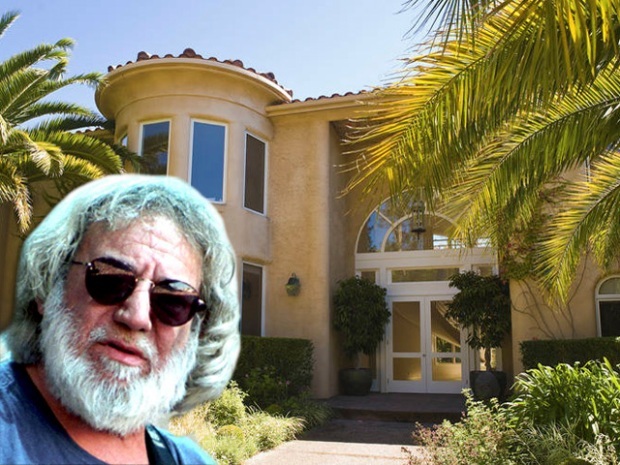 While the Bay Area punk rock legend may like to play dress up, with his traditional eyeliner, dark suits and red ties, his house is a different matter. The 5-bedroom, 4.5-bathroom Mediterranean-style home may surprise fans for its lack of outlandish features. It instead wows with its normalcy. The 7,000-square-foot Upper Rockridge house features a pool, a pool house and a music studio. No word on whether there is a rock star grotto. Armstrong was kind enough to leave his mark on the house though. A toilet seat decorated with images of the bands he hates and a room is draped with fliers from the bands early days playing the Gilman in Berkeley, the paper reported. The house goes on sale at the end of the month and is viewable by appointment only.